Douglas Scott are legal recruitment experts; we have been making things happen in the legal sector for 15 years. Our vision is the best possible you in 3, 5 and 10 years’ time. Driven day to day and week to week by our mission to make our customers happy, competitors jealous and our mums proud. Enabled by our values, powering a consistent warm experience across all our touchpoints. The core service we offer to our candidates and clients is the introduction of candidates to our clients for temporary or permanent engagement. However, our service expands to supporting individuals throughout their career and to supporting businesses’ resourcing needs and strategies. The exchange of personal data of our candidates and our client contacts is a fundamental, essential part of this process. 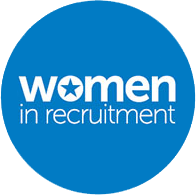 To support our candidates’ career aspirations and our clients’ resourcing needs we require a database of candidate and client personal data containing historical information as well as current resourcing requirements. We will collect personal information from you where we have your consent to do so and, in some circumstances, we may also have a legal obligation to collect the information from you. Candidates are not introduced to clients without first undertaking a formal registration process and secondly providing express consent either obtained orally or digitally which will then be logged on our CRM for reference purposes. Douglas Scott Legal Recruitment is a registered data controller, ICO number Z9812320. Our head office address is Number 1 Spinningfields, 1 Hardman Square, Spinningfields, Manchester M3 3EB. Our Group means our subsidiaries, our ultimate holding company and its subsidiaries, our associated companies as defined in section 1159 of the UK Companies Act 2006 (our Group). ...to carry out our core business and ancillary activities. This is information about you that you give us when you apply for a role, register with, fill in forms on our website www.douglas-scott.co.uk (our site) or by communicating with us by phone, e-mail or otherwise. It includes information you provide when you register to use our site, to enter our database, subscribe to our services, attend our events, participate in discussion boards or other social media functions on our site, enter a competition, promotion or survey and when you report a problem with our site. The information you give us, or we collect about you may include your name, address, private and corporate e-mail address and phone number, financial information, criminal convictions (due to the nature of the roles we recruit for), compliance documentation and references verifying your qualifications and experience and your right to work in the United Kingdom, curriculum vitae and photograph, links to your professional profiles available in the public domain e.g. LinkedIn, Twitter, business Facebook or corporate website. Technical information, including the Internet protocol (IP) address used to connect your computer to the Internet, your login information if applicable, browser type and version, browser plug-in types and versions, operating system and platform. Information about your visit, including [the full Uniform Resource Locators (URL),] clickstream to, through and from our site (including date and time), products you viewed or searched for, page response times, download errors, length of visits to certain pages, page interaction information (such as scrolling, clicks, and mouse-overs), methods used to browse away from the page, and any phone number used to call our customer service number. This is information we obtain about you from other sources such as LinkedIn, corporate websites, job board websites, online CV libraries, your business card, personal recommendations, legal directories and networking events. In this case we will inform you, by sending you this privacy notice, within a maximum of 30 days of collecting the data of the fact we hold personal data about you, the source the personal data originates from and whether it came from publicly accessible sources, and for what purpose we intend to retain and process your personal data. To maintain, expand and develop our business we also need to record the personal data of prospective candidates and client contacts. Manage human resources and internal talent pool, process payroll and report to HMRC. credit reference agencies, our insurance broker, compliance partners and other sub-contractors to assess your suitability for a role where this is a condition of us entering into a contract with you. If we sell or buy any business or assets, in which case we will disclose your personal data to the prospective seller or buyer of such business or assets. If Douglas Scott Legal Recruitment Limited or substantially all its assets are acquired by a third party, in which case personal data held by it about its customers will be one of the transferred assets. to fulfill their legal obligations. We understand our legal duty to retain accurate data and only retain personal data for as long as we need it for our legitimate business interests and that you are happy for us to do so. Accordingly, we run data routines to remove data that we no longer have a legitimate business interest in maintaining. Our website enables you to manage your data and to review whether the details we hold about you are accurate. We may archive part or all your personal data or retain it on our financial systems only, deleting all or part of it from our main Customer Relationship Manager (CRM) system. We may pseudonymise parts of your data, particularly following a request for suppression or deletion of your data, to ensure that we do not re-enter your personal data on to our database, unless requested to do so. You can exercise your right to accept or prevent such processing by checking certain boxes on the forms we use to collect your data. You can also exercise the right at any time by contacting us at mydata@douglas-scott.co.uk . GDPR provides you with the following rights. Your right of access can be exercised in accordance with the Act (and the GDPR once it is in force). No fee will apply once the GDPR comes into force.